The season for the Urban produce box has slowly wound down, leaving us all excited for what’s coming in the spring/summer of 2010. In the meantime though, many of us continue to purchase individual items from the Farmer’s Fresh Market. 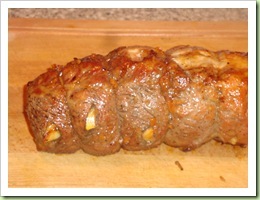 I recently bought a whole pork shoulder, which came from ‘Glen-Finished’ pigs from the Searcy farm. Glen-finished means that not only have these special pigs been pasture-raised, but they have also been allowed to forage in the woods – something all pigs naturally love to do! The diet of these pigs has consisted of vegetables, grass, roots and berries, acorns, sweet potatoes and grain, which results in some of the most flavorful, tender pork you could imagine. The shoulder roast from one of these pigs played the starring role in last night’s supper. I slow roasted the meat at 300 degrees for about 5 1/2 hours. Halfway through I added mushrooms, some onion, and a little chicken stock to begin work on the mushroom gravy. The meat was amazing, tender and so full of flavor. Nothing like the mushy, flavorless meat you see from a Smithfield pig. 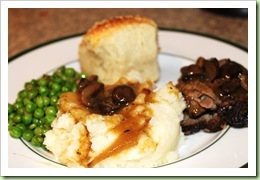 On the side we had buttermilk mashed potatoes (using my all time favorite spud, the Kennebec). And buttered peas with carmelized shallots. 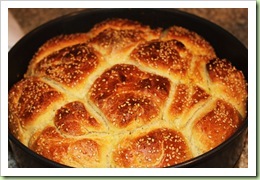 I also made some buttermilk rolls using a recipe I found in this month’s Saveur Magazine. It was the perfect Sunday supper. Yes, it’s been a while since I’ve last posted. The holidays brought a whirlwind of activity that only now seems to be settling down. Even though I haven’t posted, it doesn’t mean I haven’t been cooking. I’ve been lucky enough to get some amazing produce from the Farmer’s Fresh Market, which elevates just about every meal I make into something special. Or so I’d like to believe! Okay, so these cookies don’t feature any produce… unless you consider Extra Virgin Olive Oil produce! I am a lover of a moist and chewy chocolate chip cookie. Can’t stand the thin crispy kind that seem to be the result using an all-butter recipe. So I came across a recipe for olive oil chocolate chip cookies, and the end result was my ideal cookie. 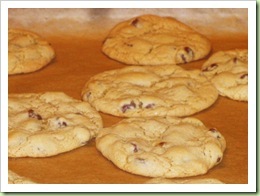 Moist and chewy and all about the chocolate chip! 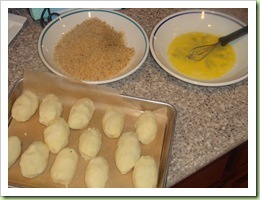 And I didn’t feel so guilty about eating the whole batch because I used heart-healthy olive oil! This was an amazing sandwich. 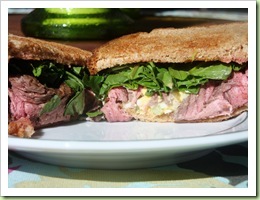 I used some left over rib-eye, made an egg salad from my farm-fresh eggs, and topped it all with some fresh arugula. DELISH! 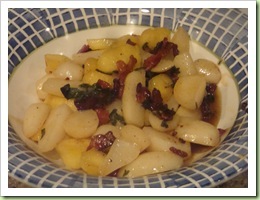 Braised baby turnips and apples with bacon. Created a few turnip lovers in this house. Well, really just me and Josh! 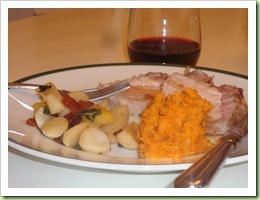 Served the turnips with a roasted pork loin studded with garlic cloves. And some mashed (local) sweet potatoes! This was a great meal! 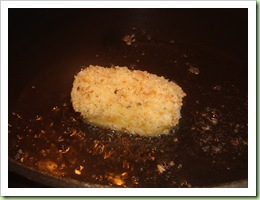 I had some left over mashed potatoes one evening, and found a recipe for ham and cheese stuffed potato croquette. That sounded just completely delicious, so I decided to give it a try. 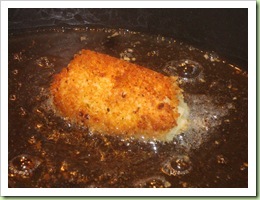 I served the croquettes with a salad using some greens and left over veggies from one of our produce boxes. 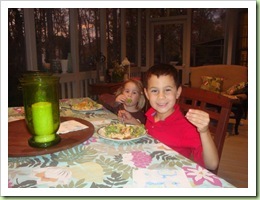 You can tell the kids are enjoying their meal!